The store and work container includes separate entrances for the storage and the office area for privacy and convenience. The smaller, climate controlled office area also has an interior door to the storage area for easy access. 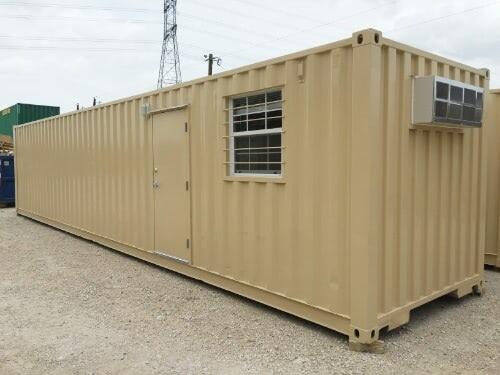 Get the benefits of a ground level office and a storage container in one unit. Connecting secure, weather-proof storage utility space. 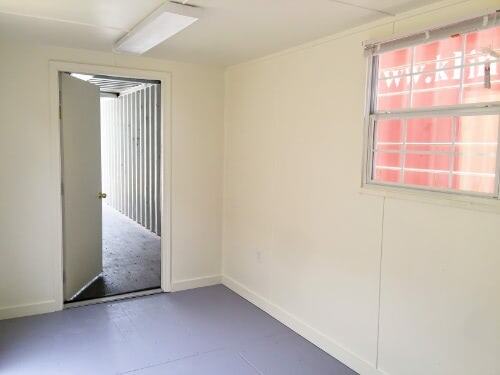 Includes steel personnel door, windows, plywood walls, insulation, HVAC unit, overhead lighting, outlets and 80 square-feet or 120 square-feet of workspace.